Maeble Perry was born in Idaho on February 11th 1902. She moved to Illinois and studied sculpture under Albin Polasek. Maeble Perry won the following awards for sculpture: Alliance award 1931, Evanston Woman's Club 1933-34 and 1936-37, and the Art Institute of Chicago in 1939. 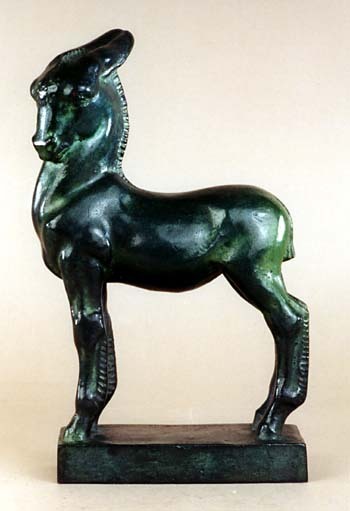 Maeble Perry entered her bronze sculpture titled Jeff in the competition of the Art Institute of Chicago in 1939. She was awarded a first prize for this sculpture. The Art Institute has a cast of this model on display in their permanent collection.